Even though you have to get out of your car to pump gas (in most states, at least), you don’t necessarily have to leave the vehicle’s cushy confines to pay for it. 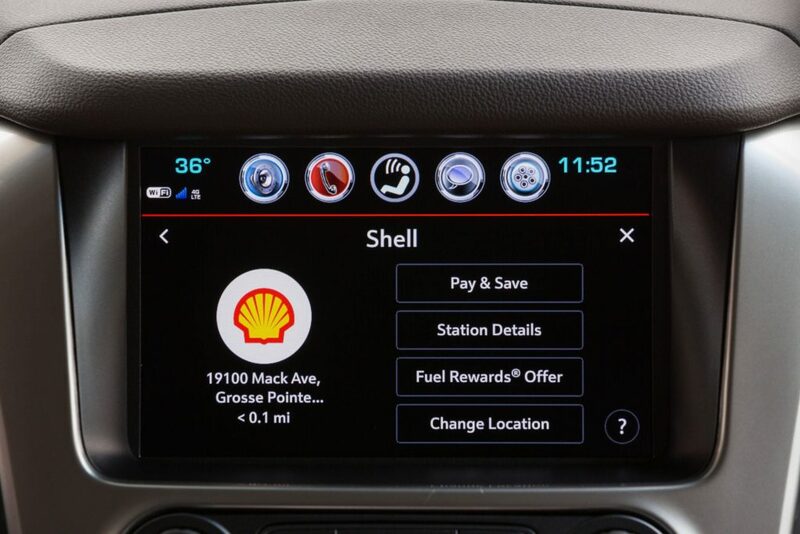 Chevrolet’s new Marketplace in-car app store will soon offer US resi dents the chance to pay for gas at a participating Shell station using Chevy’s MyLinkinfotainment system. Best of all, you don’t have to estimate how much gas you’ll need — once selecting your gas station on the display, it generates a code that will unlock the gas pump, and the resulting fill-up will be debited from a payment method you have stored.